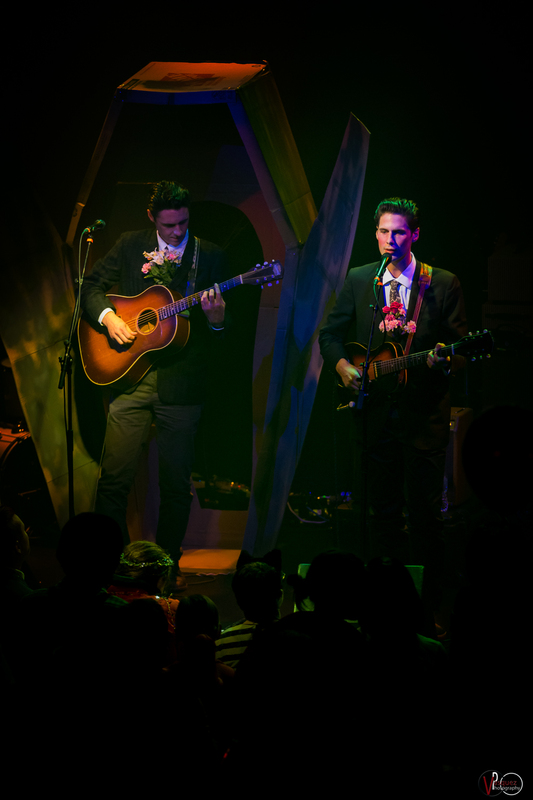 October 31, 2016 Lucuis & Cactus Blossoms Halloween Party at Headliners Music Hall in Louisville, KY.
Halloween fell on a Monday night but that didn’t stop Louisville locals from coming out to the Headliners Music Hall for the Lucius Go Insane Halloween Party. The festive night included a costume party with the winning Beetlejuice costume taking home some merch from the band and a pair of tickets to next summer’s Forecastle Festival. 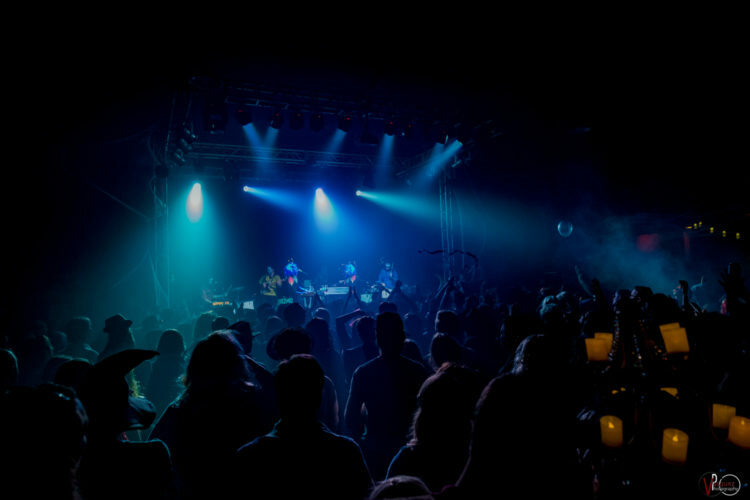 The interior of the venue was appropriately decorated as well along with the screening of Stanley Kubrick’s movie The Shinning to set the mood. 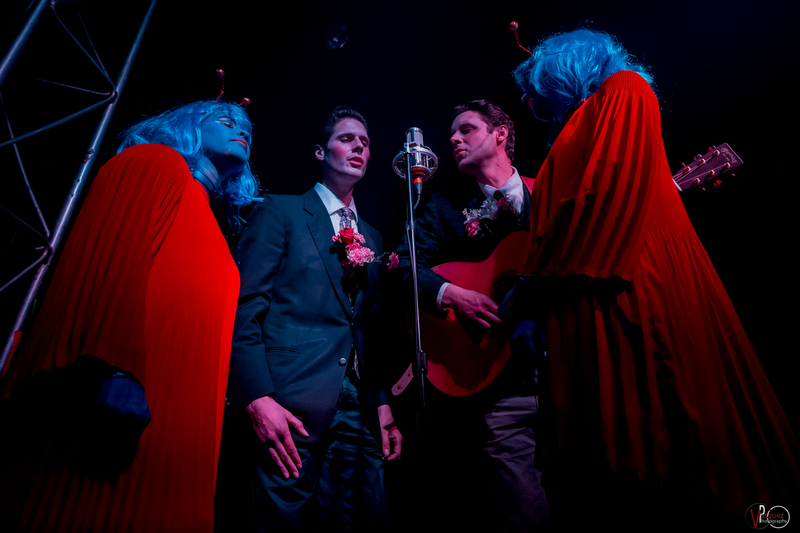 October 31, 2016 Lucius & Cactus Blossoms Halloween Party at Headliners Music Hall in Louisville, KY.
At the center of the stage was a life-sized upright coffin, which we would find out the opening band The Cactus Blossoms had put together. The two singers made a fun entrance onto the stage through the coffin. The two brothers Page Burkum and Jack Torrey immediately jumped into playing their laid back style of old country. A few of my favorite moments from their performance included the beautifully harmonized songs Powder Blue and You’re Dreaming. This was the first time I caught their act but it hopefully it won’t be my last. 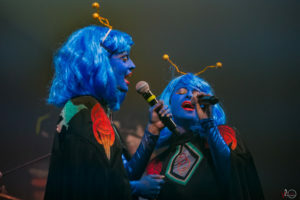 The Brooklyn, New York-based Lucius lead by singer’s Jess Wolfe and Holly Laessig along with the rest of the band came out dressed in a Star Trek theme. Having caught the band earlier this summer at the WFPK Waterfront Wednesday concert I was extremely excited to hear an entire set from the band. The band has been extremely busy the past year with touring, a recent lineup change, and an appearance on the Cameron Crowe’s show Roadies, and most recently an appearance on Late Night with Seth Meyers in which they performed “Gone Insane” off the new album Good Grief. 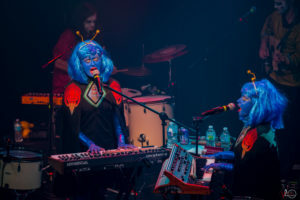 The band’s brilliant blend of soulful harmonies, pop, acoustic, and electronic music was on full display as they played a great mix of both their albums Wildewoman and Good Grief.